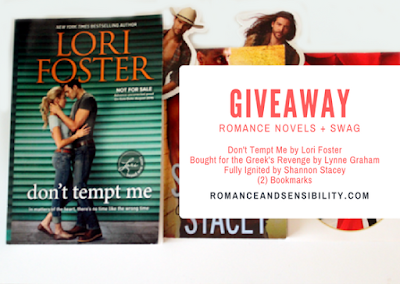 Welcome to the post where we share which books we grabbed on sale this week ! This week Harlequin is having a big sale with 18,000 + series romances priced at 1.99. I had a few authors and titles on my TBR list so here is what I picked up. 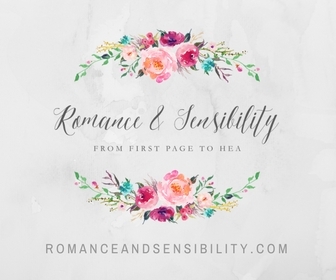 I can't wait to read a historical romance that doesn't take place in the typical European setting. I kind of like the idea of a book that deals with notoriety and romance, without actors, athletes or rockstars. I had about $10.00 in gift cards on my Amazon account so I went a little buckwild and picked up a few things at random this week ! This book showed up for .99 in my e-mail alerts, but I have no idea why I was watching for it. I think it must have gotten a rave review on the Scandalicous podcast and at .99 I figured why not. 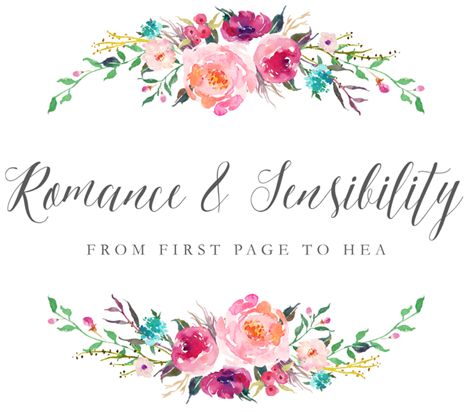 I wanted to get a couple Super Romances during the 1.99 sale because Super Romances are the lengthiest of the Harlequin series romances and seem like a better deal. This one is about a couple who find out that what they thought was a fake reality TV wedding was actually real. This is a romantic mystery that follows a jewel thief turned PI trying to recover a stolen necklace in Vegas. I was getting some Ocean's 11 vibes and had to one click. 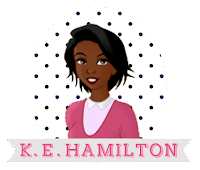 A romance with a Black race car driver this is not drill ! Also Michelle seemed nice at Baltimore Book Fest. This is about an Indian doctor who falls for a cowboy while on a medical rotation in a small town. I've been wanting to read in the Heartwarming line and this is also #ownvoices. 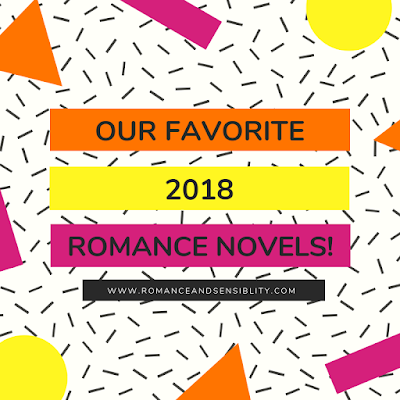 Last year, Jess told me about the Girl, Have You Read Podcast and I was introduced to the world of black indie romance-- romance novels written by and primarily for black women. I'm ashamed to say I had no idea this corner of Romancelandia existed and after reading this one I’m ready for more. 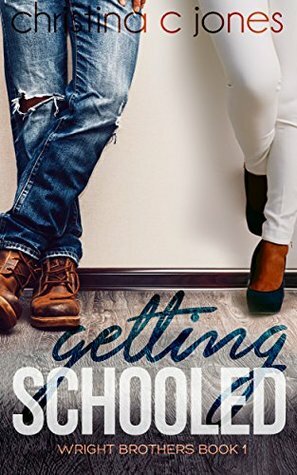 This book is sort of an enemies to lovers romance between graduate assistant Reese Bryant and one of her students, Army veteran Jason Wright. They aren’t really enemies, but they have to fight preconceived notions of each other to admit they are attracted to each other. Reese thinks Jason is insolent and pretentious, he thinks she is a bougie princess. 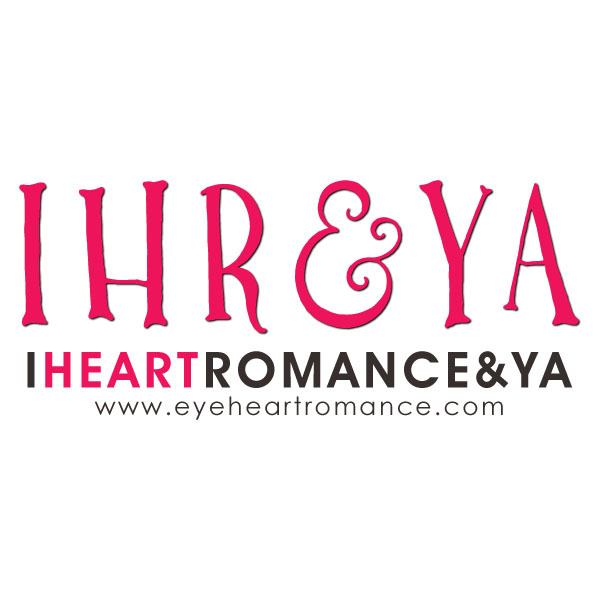 On the GHYR podcast, the author says she writes hot headed heroines and she was not kidding. Reese and Jason go head to head right up to the very end. Jones mentions some people don't like her hot headed heroines, but I really like Reese. She is smart and up front but she also has her days where she just wants to hole up in her house and eat chicken wings--by the way the way CCJ described chicken wings made me so hungry ! My favorite thing about this book is the world building aspect. This story takes place at the fictional HBCU Blakewood College and I could see the world she was creating. Not to mention all little nods to the other books in her series. There is an offhand remark about BSU football players going pro and I think that is a reference to her recently released Connecticut Kings series. We also get a little bit of what I've heard referred to as seasoned romance. Reese’s mom is actually the professor for the class she grad assists for and in a pretty prominent subplot she has a romance with Jason’s Dad. By the way, one of the biggest differences I picked up between a black indie romance like this and something like a Kimani is that you could never see the n-word used colloquially in Kimani. 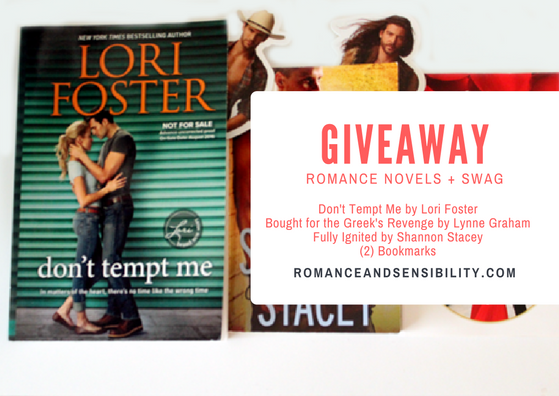 Enter below for your chance to win two romance novels, and ARC plus two hero-themed book marks ! 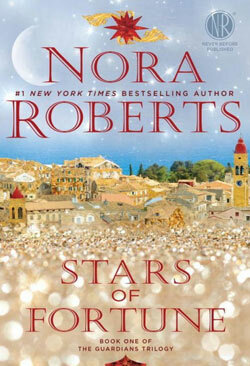 Stars of Fortune is my first (as Sara Wendell calls it) Para-Nora, that is a paranormal novel by Nora Roberts. I picked it up because I saw it on Scribd and I figure why not ? The cover is so sparkly and pretty and I was hoping for some light reading because 2016 has been no joke. This trilogy follows six strangers who are inexplicably drawn to one another on the Greek resort island of Carfou. It is their destiny to find and protect three magical stars from an impending evil. No one in this group is what meets the eye and the price of keeping secrets could break our heroes part. Sasha is the main heroine in this book, she's, an artist trying to hold down her vivid dreams and strange psychic abilities. She takes an unplanned vacation to Greece where fate draws her and the others together. Out of everyone she can't keep her eyes off of Bram, a mysterious Irish magician who she has literally dreamed about for years. Sasha is the introvert of the group and Roberts had a good grasp on how to write this type of character. She doesn't make Sasha shy instead Sasha is just very observant, she does a lot of thinking before interjecting. I didn't know what to expect going into this book, because it's not your straight up romance or paranormal. The story revolves around paranormal elements with some light action but the plot is also punctuated with the daily struggles that come with putting your trust in strangers. Everyone has to learn to contribute from teaching magic spells to making dinner. The focus on teamwork and trust mixed with paranormal elements and action reminded me of the ABC TV show Once Upon A Time. Also Like OUAT The series is female focused as the three heroines have the main POV in each of the books. Now, it's pretty obvious who each person is going to couple-up with, but because they are working as a group everyone is allowed to take care of and protect people who aren't their hero or heroine. This is my second Roberts series and so far I haven't been super impressed with her romances. She tends to want to focus on relationships instead of meet-cutes which totally works. This was my first Saskia Maarleveld audiobook and she nailed the very tough job of having to create a unique voice for each of our six main characters. Overall it's a story designed around paranormal elements but is ultimately about friendships, trust and figuring out whose job it is to cook dinner tonight anyway ? This book ended with a semi "thanks for what you did back there", which is one of my favorite things ever. Roberts also manage to sneak in some elements I don't like in my paranormal and made them work. On a summer night in Victorian England, Geoffrey Westmore London's most notorious scoundrel and Mary Channing a bookish country girl get caught in a scandalous position just moment after overhearing a plot to assassinate Queen Victoria . . .not that anyone will believe them. The countdown is on as Mary and West follow the trail through London's seediest corners to save the queen and fight a growing attraction, and before this hero can get his girl the first person he has to save is himself. The Perks of Loving A Scoundrel has a younger hero (younger than the heroine in fact) who very well earns his title as a scoundrel; public urination and childish pranks not withstanding. Some of the best moments of the novel were West having to face how destructive his behavior has been to his reputation in a way I haven't seen other reformed historical bad boys. This was my first Victorian era novel and it's kind of a lively time period; we get everything from rampant vices, a Dickens cameo and even some gun-slinging ! One of the reasons I jumped at a chance to review this book is because I listened to an interview Jennifer McQuiston gave discussing her career with Center for Disease Control and how her work with Ebola made her one of the 2014 TIME's People of The Year. To read an excerpt and learn more about Jennifer McQuiston click below !